Great Way To Keep You Dog Under Control During- Thunder Storms, Fireworks Exc. That's right! A t-shirt! (This is not mean) study's have shown that dogs are much calmer when wearing a dog shirt or man's shirt. It is a very inexpensive way to calm down your dog! 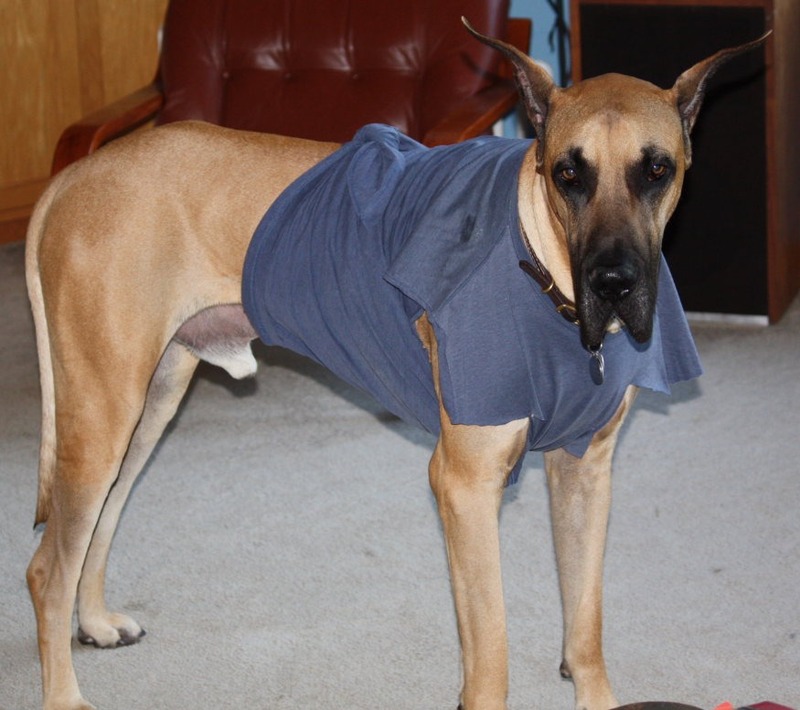 If you don't have a dog shirt (depending on how big you dog is) take a shirt and cut right down the sleeve just so it easier for your dog to move, and if it hangs down go get a rubber band tie it up!